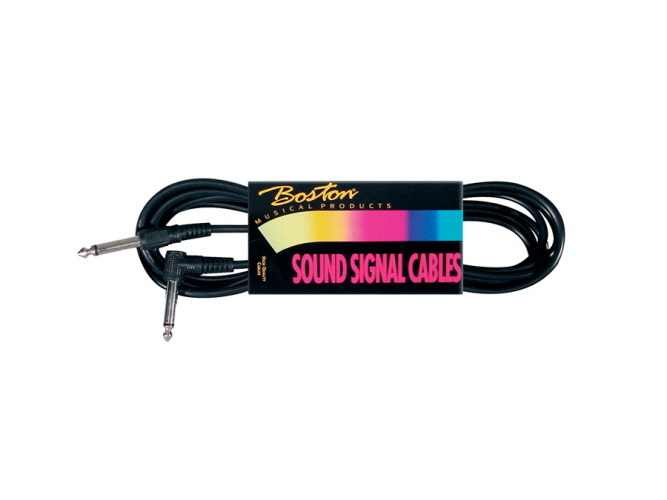 Boston cables for guitar or bass of 3 meter. 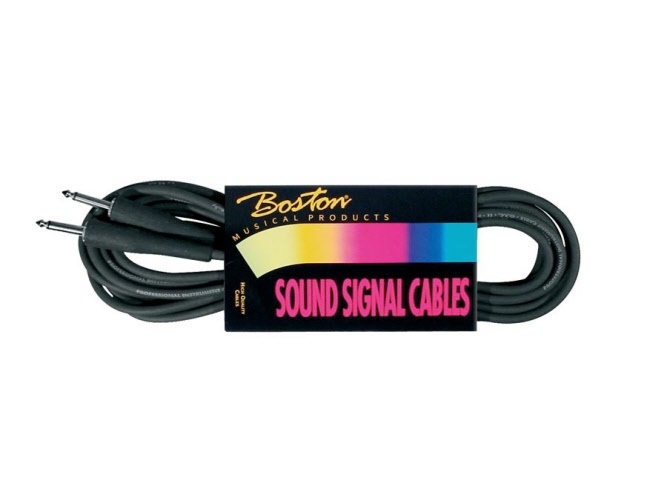 Choose your Boston cables with price ranges from € 8,75 to € 13,95. 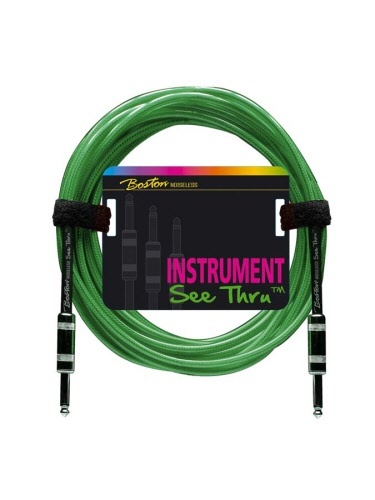 Instrument cable for guitar or bass. Color: black. Length: 3 meter. Version: 1 x jack + 1 x angled jack. Now from € 10,95 for € 8,75. 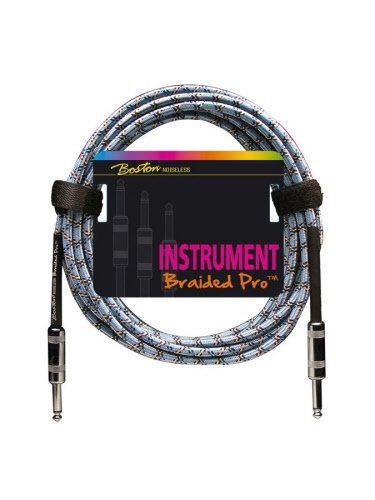 Instrument cable for guitar or bass. Color: black. Length: 3 meter. Version: 2 x jack. Now from € 11,95 for € 9,95. 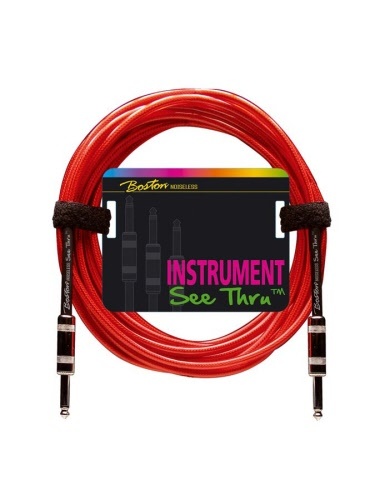 Instrument cable for guitar or bass. Color: black. Length: 3 meter. Version: 2 x jack pro. Now from € 12,95 for € 10,50. 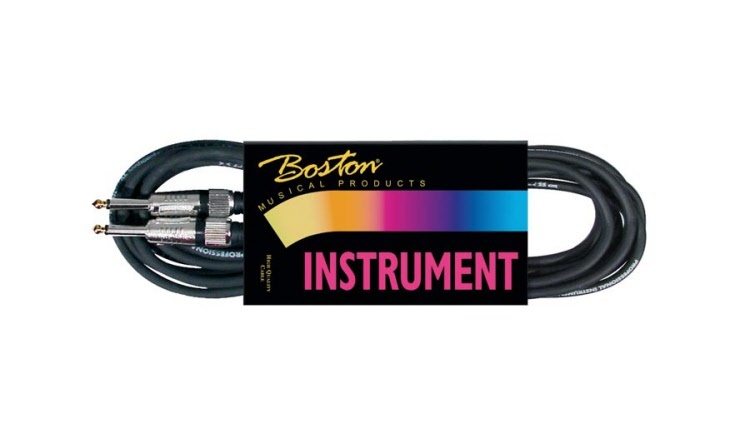 Instrument cable for guitar or bass. Color: black. Length: 3 meter. Version: 1 jack + 1 angled jack pro. Now from € 12,95 for € 10,50. 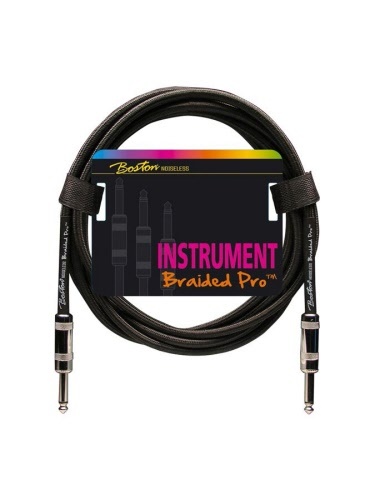 Instrument cable for guitar or bass. Color: black. Length: 3 meter. Version: 2 x stereo jack. Now from € 13,95 for € 10,95. 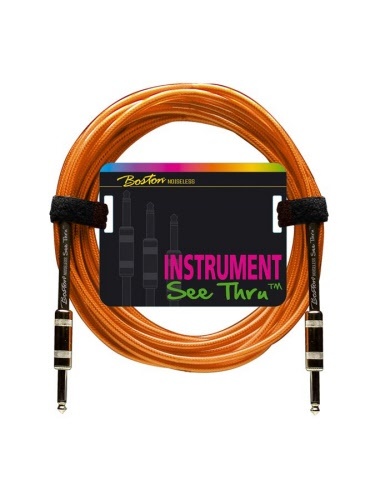 Instrument cable for guitar or bass. Color: vintage tweed. Length: 3 meter. Version: 2 x metal jack. Now from € 14,95 for € 10,50. 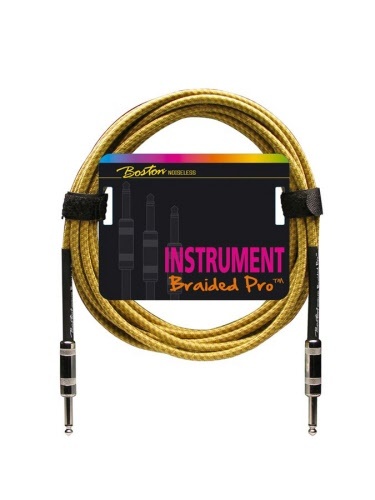 Instrument cable for guitar or bass. Color: vintage oxblood. Length: 3 meter. Version: 2 x metal jack. Now from € 14,95 for € 11,50. 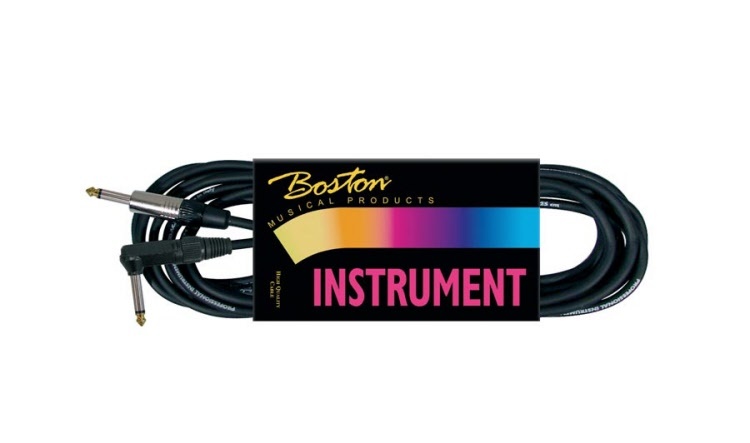 Instrument cable for guitar or bass. Color: vintage blue. Length: 3 meter. Version: 2 x metal jack. Now from € 14,95 for € 11,50. 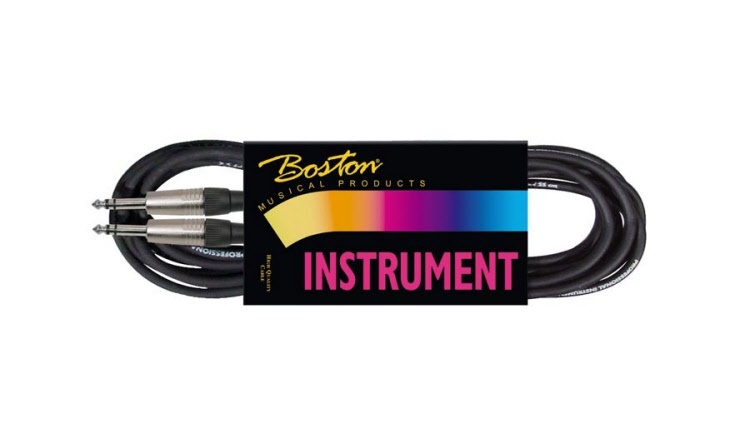 Instrument cable for guitar or bass. Color: vintage black. Length: 3 meter. Version: 2 x metal jack. Now from € 14,95 for € 11,50. Instrument cable for guitar or bass. Color: blue. Length: 3 meter. Version: 2 x metal jack. Now from € 15,95 for € 12,50. Instrument cable for guitar or bass. Color: orange. Length: 3 meter. Version: 2 x metal jack. Now from € 15,95 for € 12,50. Instrument cable for guitar or bass. Color: red. Length: 3 meter. Version: 2 x metal jack. Now from € 15,95 for € 12,50. 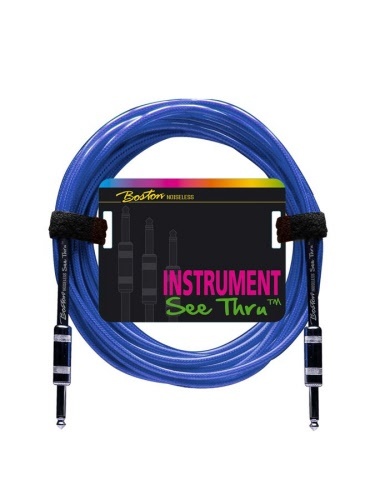 Instrument cable for guitar or bass. Color: green. Length: 3 meter. Version: 2 x metal jack. Now from € 15,95 for € 12,50. 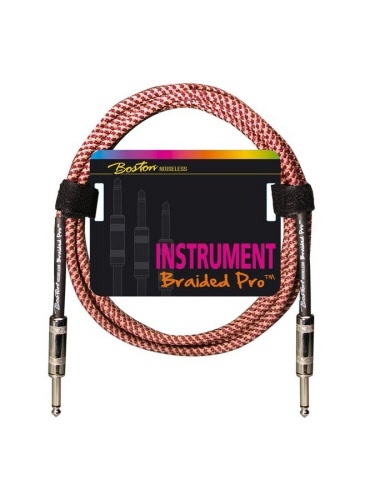 Instrument cable for guitar or bass. Color: black. Length: 3 meter. Version: 2 x rubber jack. Now from € 16,95 for € 13,95.